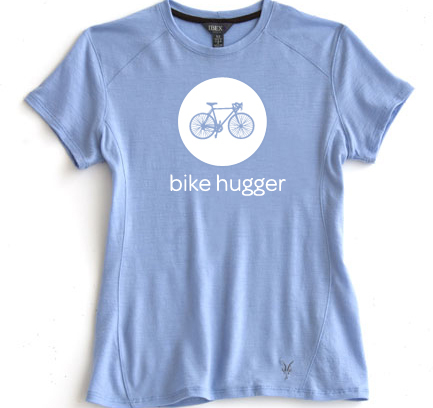 Custom made for us by Ibex Wear, our Summer Wool T is lightweight Merino wool and screened with our logo. The Summer Wool T is best used for apres cycling, everyday wear, and layering. 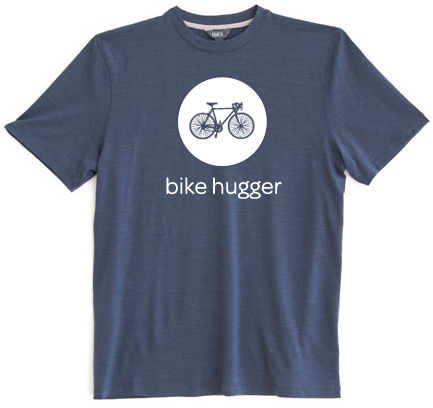 On sale for $59.00, the Ts are shipping directly from Hugga HQ. We have limited quanities. Pricing is good while supplies last. Order from our Summer Wool T page.